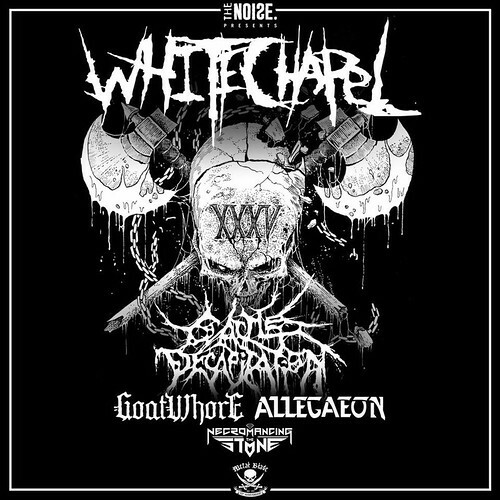 We promised more ticket give aways soon and we’re starting off by giving one of you lucky DCHM readers a pair of tickets to see Whitechapel perform at the Fillmore Silver Spring on Friday, February 24th of 2017. To enter just leave a comment on this post telling me what is your favorite metal song to play on Valentine’s Day. At 5pm EST this Friday, February 17th, a winner will be chosen at random (using Random.org) from all valid entries to win the pair of tickets. Be sure to use a valid email you check regularly so I can contact you if you win. Don’t worry, I won’t add you to any spam lists or sell your info or anything sleazy like that. If I haven’t heard back from the winner in 24 hours another winner will be chosen at random. If you can’t wait to see if you win or the contest is already over when you read this, then you can get tickets from Live Nation for $22 here. Despite being named after the London district that Jack The Ripper committed his murders, Whitechapel is actually from Knoxville, Tennessee. 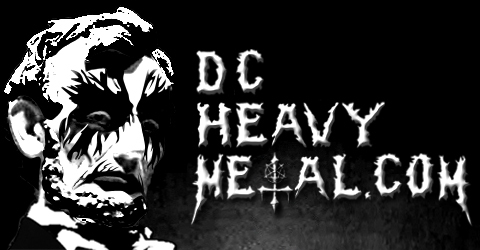 The band’s catchy style of deathcore and intense live shows have made them on of the biggest names of the subgenre. Direct support for the headliner on this tour comes from the vegetarian death metal band Cattle Decapitation. Goatwhore brings their dirty, blackened metal from New Orleans on this tour, and Allegaeon playing a proggy style of melo death. The opener is Necromancing The Stone, a newer melo death/thrash band from Ohio. What do all these bands have in common? They’re all signed to Metal Blade Records and they’re making this Metal Blade 35th Anniversary Tour something you don’t want to miss! Now check out these videos by the bands on the bill and let me know what is your favorite metal song to listen to on Valentine’s Day!